Your reassuring touch can signal comfort, security and love to your baby, allowing them to calm and sleep peacefullyBased on the medically proven benefits of touch, the Zen Sack includes a lightly weighted area on the chest which gives the sensation of a caregiver's palm. .
Comes in 0-6 months (7-18 lbs, 21-30 inches) and 6-15 months (16-26 lbs, 26-33 inches). Adjustable shoulder snaps allow for a snug fit. 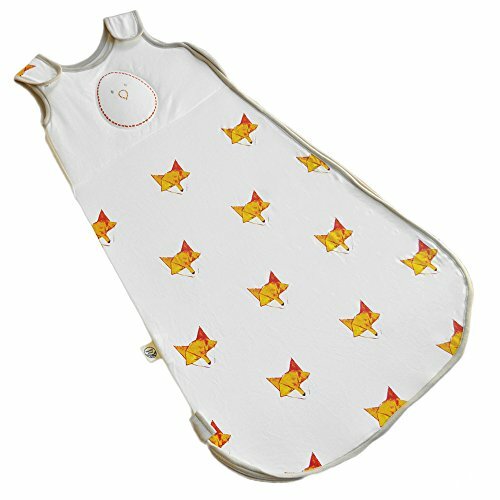 Made from 70% rayon from bamboo and 30% pure cotton for a luxuriously soft feeling on baby's tender skin, it is washer and dryer safe. The weighted pad is filled with non-toxic poly beads, the same as you find in children's stuffed toys. THICKNESS: The Zen Sack Premier has a TOG rating of 0.3 which means it is breathable for hot Summer days and nights. MATERIAL: 70% rayon from bamboo and 30% pure cotton - luxuriously soft. Completely washer/dryer safe. BPA, toxin and phthalate free. Exceeds safety standards.